I’m living in Romania in Europe and some parts of our country up to the mountains have really strange stories about extraterrestrial activities! 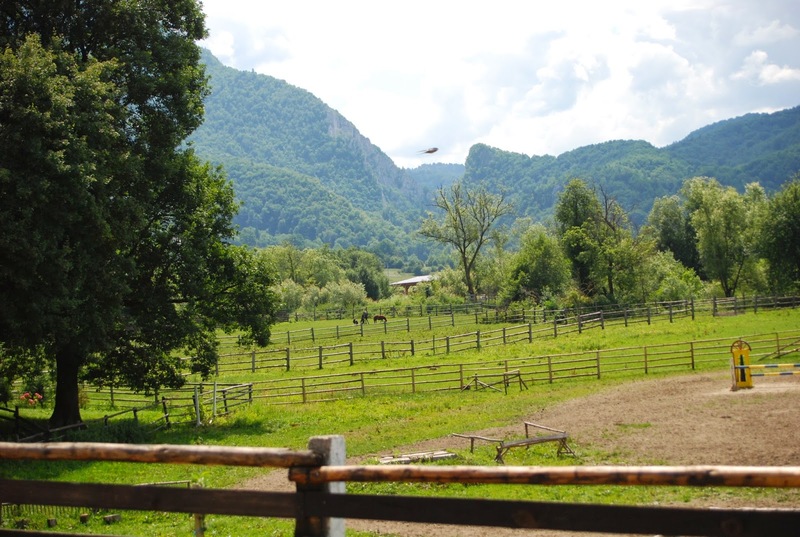 As we know up at the Carpathian mountains not so far from cities –Busteni and Azuga exists; even a secret army base. The reason why I write to you is that a couple of years ago during a summer camp with kids at the mountains not so far from the mentioned area, I was taking random pictures. When I got home I started to erase the bad pictures and I get to the picture I’m talking about and when I opened it, I thought that my monitor has some dust on it, but I realized that I had taken a picture of something which I had not seen at the time. I sent my picture to the the Romanian UFO Society and they said that I had taken a photo of a UFO, but they didn’t have the expertise to truly analyze it. They forwarded my picture to a German group, but they never answered back. I would like to ask you if you can give me feedback on what the object is.